Leaks become a major headache in no time whether it is happening in your house or in your office building. 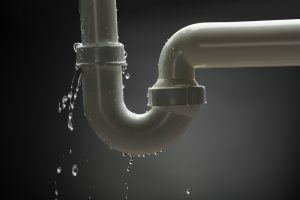 It can happen because of too much of water pressure put on the pipes or when the connection of one pipe to another has not been sealed correctly. And, when the pipes have not been secured rightly with a hardware. All of these either damage the pipes or create problems like leakage. Leakage of pipes can cause havoc of water streaming inside your house in no big time. Leaky pipes have often made people change their entire furniture because water flooded and destroyed their belongings. If you have been ignoring your leaking pipes because they seem to be too little for you then you are doing the wrong move. You are not just wasting water, but you are also doubling up the usage of water and your water bills are going to increase too. What is the right time to call a plumber? When to call a plumber and how to know that your pipes need repair is the same thing. There are a very few things to look for and recognize to know if your pipes and drains are leaking. Change in walls like strain or crack, then chances are that your pipes are leaking. If you have been encountering any foul smell recently coming out of flowing water or maybe a change in water color, then check on your pipes or contact a plumber. The best thing to do is make a plumber do some routine checks regularly so that if there are possible chances of leakage or damage to the pipes then he can fix it in the first place. Mold Growth: When your walls are prone to moisture a little too much and often then there are 100% chances of Mold Growth. It grows in bathrooms, behind sinks or any walls near to running water supply. It happens when you have a leaking pipe and it is very harmful for health. Also, if you ignore it for too long they are going to keep growing adding up to your expenses. Flooding: It is the last and the most dangerous form of pipe or drain leakage. If you have been ignoring minor leaks to drain leaks from too long, then one day you might find your house or office full in water as the pipe bursts. It is going to be an attack to your wallet or bank for the repairs you will eventually have to pay. Water Quality: It is no doubt an initial stage, but it is a serious threat to health. When the pipes or drain leaks, there is possibility that they get in contact with contaminated or waste carrying pipe. So, it dilutes the water quality making it poor and contaminated. You can also notice the change in the color of water. Drinking and using such water will have a serious health implication. Wall Damage: Majority of the times it is the wall that gets affected by leaking water in the first place. The first step is damaging the wall and then gradually the whole house. Leaking pipes can make the walls weaker, eroded and costs a fortune in its repair. You might have to color it again or fix it again or even built it all over again. Address even the smallest of issues when it comes to fixing a plumbing task whether it is about drainage, or pipes or water supply. Don’t just use too much of pressure when accessing the taps for using water for whatever task it may be. A medium water flow is always a healthy option for your pipes and drains. Often areas have supply of hard water which builds up deposits in pipes which only require a plumber to get it cleaned time and again. Also, too much of detergents are wasted for that matter which isn’t cheap at all. So, try using a water softener in that case. Every house requires care whether the property is being used for residential purpose or businesses purpose.